For Coffee Review’s monthly tasting reports we typically focus on coffee-producing countries or regions, or certain tree varieties or processing methods, or innovations that arise from the creativity of today’s specialty coffee world. It’s less often that we look at roasters, collectively, by geographical location. But this month we decided to focus on roasters of the Southwestern United States, namely Arizona, New Mexico and Texas, aiming to get a more localized sense of what might be happening in these coffee communities. Perhaps if we selected a specific region, we thought, we might discover that upscale roasters were roasting a bit differently than roasters in other areas, perhaps to suit different customers, or perhaps we might find that they were sourcing their green coffees from a slightly different array of origins. This turned out not to be the case, at least where the American Southwest is concerned. In short, in these three states we found a microcosm of the top-end specialty coffee culture we already know quite well. So, in terms of producing novelty or surprise, this month’s cupping did not deliver. On the other hand, it was a very reassuring exercise, suggesting that, at least by Coffee Review standards, aficionados in these states are well served with some very fine craft coffees. We cupped 28 coffees from these three states and, with only one exception—a roaster from the small East Texas city of Nacodoches (Camino Real, whose Sumatra we review here)—the top-scoring coffees were produced by roasters located in major cities: Phoenix and Tucson in Arizona; Dallas and Austin in Texas; and Albuquerque in New Mexico. Brent Patton, co-owner of Camino Real (and Java Jack’s) cupping through coffees. The scores ranged from 84-94, with an average of 89. We review the nine coffees that scored 92 or higher: two from Phoenix, two from Tucson, two from Dallas, one from Austin, one from Albuquerque, and the Sumatra roasted in Nacodoches. It’s impossible to say what coffee trends are happening in more rural regions of each state, but it’s clear that the urban centers are ensconced in coffee’s now quite-well-established “third wave,” led by roasters who are pushing the envelope in terms of sourcing small, selective coffee lots by direct trade, roasting these lots lighter to enhance, rather than obscure, the qualities of specific coffee varieties and origins, and intensifying their support of environmental practices that encourage sustainability. In terms of green coffee origins, there also are no great surprises here. 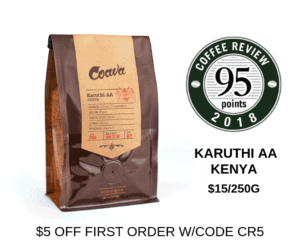 Five of the top-scoring coffees are from Ethiopia (three washed-process and two natural-process); three are from Kenya; and one is from Sumatra. We also tested submissions of coffees from Nicaragua, Guatemala, Mexico, Colombia, Bali, and Rwanda, four of which scored 90 or higher, but the cream of the crop were Ethiopias and Kenyas. These Ethiopias and Kenyas are fine coffees that will excite enthusiasts. Of course, coffees from these two exceptional origins tend to do perennially well in our reviews. Nevertheless, despite the familiarity of their origin names, this month’s Ethiopias and Kenyas are not in any way monotonous as individual coffees. Each one is stunning and unique; they enchanted us with their individuality, and leapt from the table with their sometimes subtle, sometimes startling pleasures. And, just to be clear, not all Kenyas, for example, stood out. We had some that in retrospect read as Kenyas, but not as particularly outstanding Kenyas. The savory side of the Kenya savory-sweet complex was sometimes a bit too savory, and the tartly sweet vivacity of the Kenya acidity a bit too muted. Also, one of the high-rated Ethiopia dried-in-the-fruit or natural-processed coffees, the Red Rock Ethiopia Harrar (92), is unique in region, if not in country. Those familiar with specialty coffee history may recall that coffees from the Harrar region of eastern Ethiopia are unusual in many respects. They are produced from traditional local cultivars in much drier terroirs than elsewhere in Ethiopia, and for centuries have been processed by the natural method. Over the last 20 years they have been displaced in fine-coffee inventories by the new style of southern Ethiopia dried-in the-fruit naturals, so it is a gratifying nod to coffee tradition to have a classic Harrar like this one surface in this month’s reviews. Rachel Langer and Eugene Duran of Red Rock Coffee Roasters in Albuquerque, New Mexico. At any rate, simply because the origins this month are familiar, the individual profiles are not, and the roasters deserve to be honored for their knowledge in sourcing these coffees, and for roasting them with skill and precision. Which gets us to the roasting part. We did learn, in speaking with the roasters reviewed this month, that very few of them take any coffee they roast into the second crack, or the moment in the roast cycle when the taste of the roast begins to assert itself. In other words, we saw no classically defined dark roasts. David Perreira, roaster for Yellow Brick Coffee in Tucson (and co-owner with his sister Anna Perreira) says the company, founded by Anna in 2011, offers no dark-roast coffees whatsoever. His philosophy is that it’s time “to move away from addressing coffee as light and dark and to starting addressing it in terms of its flavor profile. Sometimes it’s hard to find the flavor profile you want from the origin that you want.” He goes on to say that, “People are hungry for quality, and there is extreme growth potential as consumers continue to educate themselves about specialty coffee.” Yellow Brick’s Kenya Kamoini Othaya (93) is a classic Kenya brought to a classic light roast, netting a delicately sweet, deeply savory coffee with notes of red currant and grapefruit zest. David Perreira of Yellow Brick Coffee, visiting the Kenya Othaya Cooperative. Neither does Press Coffee in Phoenix offer dark roasts, says general manager and partner Alex Mason: “As for roast profiles, we don’t do anything into second crack. At times this can be a challenge, but when we talk about the benefits of a light to medium roast and do some sampling, our customers have no issues with a lack of ‘dark’ roast among our coffees.” Variety of offerings seems to be key. Press Coffee’s café offers a rotation of five to six coffees at its “brew bar,” which allows customers to select from a range of coffee origins and types. And Press has had a great deal of success with its tasting model, offering customers a flight of four coffees brewed in cupping format, preceded by a brief, accessible introduction to coffee. Mason says these educational cuppings “have been invaluable in bringing people who would otherwise be Starbuck’s customers into the fold of specialty coffee in a very welcoming way. People here, like in most places, are hungry to learn; it has been a matter of giving them a venue to learn that doesn’t feel like a lecture or a speech from the pulpit.” Press Coffee’s Ethiopia Guji Shakiso Danbi Uddo was the top-scorer in our cupping at 94, a bright, exuberant, subtly lush cup at a lightish medium roast. A tasting flight at Press Coffee in Phoenix, Arizona. One of Press’s local competitors, Cartel Coffee Lab, offers a washed Ethiopia Kochere, reviewed here at 93, one of Cartel’s many light-roasted coffees sold online and at its six locations scattered throughout Arizona. We didn’t speak directly with this roaster, but its online shop certainly doesn’t suggest a propensity toward dark roasting. The same is true of Presta Coffee in Tucson, represented by a double-washed Ethiopia Guji we review here at 93. At Presta Coffee Roasters in Tucson, Arizona. Courtesy of Maxwell Lukas Gay. Kevin Betts and Ryan Smith, brothers-in-law and co-founders of Dallas-based Novel Coffee Roasters, reach a national market, but don’t feel pressured to produce dark roasts. Says Smith, “We are finding ample demand for coffees that are dynamic and expressive, so we seek balance and depth in the green coffee, rather than try to force those characteristics with hotter finish temperatures. We approach each coffee differently in the roaster, but we always look for juicy, saturated flavors that finish very clean.” Novel’s Ethiopia Shakiso Mora Mora (92) reviewed here, achieves just that, offering a poised, very cleanly expressed dried-in-the-fruit Ethiopia cup, sweetly crisp and buoyant. Kevin Betts of Novel Coffee Roasters in Dallas, Texas. Also Dallas-based, Oak Cliff Coffee Roasters, which began in home-roaster Shannon Neffendorf’s garage in 2008, manifests a sense of humor when asked about dark roasts. Will Riggs says Oak Cliff sells a carefully roasted dark blend that is “our foot bridge for those who are hiking up to us from the dark lowlands of French roasts.” But he emphasizes that Oak Cliff never obliterates the green coffee in the roasting. 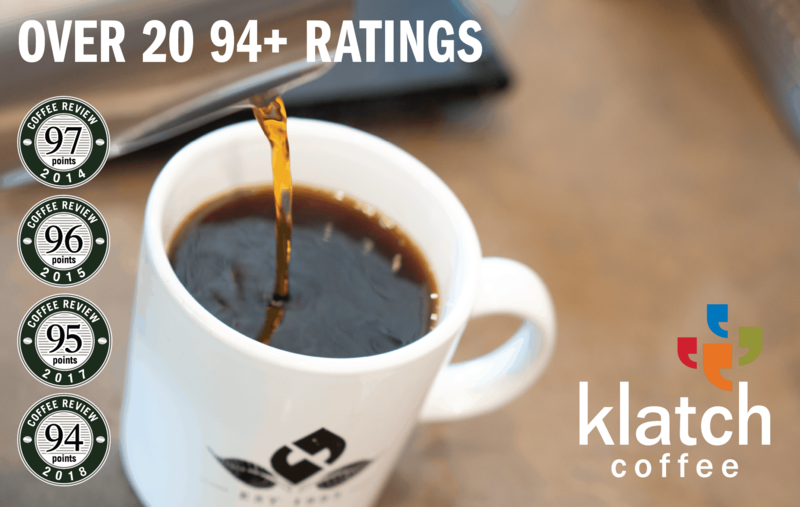 The Oak Cliff Giakanja Kenya, a medium-light-roasted, boldly sweet-savory coffee with notes of black cherry and cola nut, is reviewed here at 93. Christopher Roberts and James Noel at Oak Cliff Coffee Roasters in Dallas, Texas. Courtesy of Will Riggs. The two exceptions to strictly light to medium-light roasted coffees that appear in this report are Red Rock Coffee Roaster’s Ethiopia Harrar Natural G3 Longberry (92), a natural-processed Ethiopia from the rarely represented Harrar region brought to a darkish medium roast, bringing out notes of brown sugar and vanilla while maintaining the Harrar’s tendency toward fruit-forwardness; and Camino Real’s Sumatra Dolok Sanguul (92), in which a dark-end-of-medium profile develops the coffee’s chocolate and deep floral tones. Trey Cobb, co-founder and roaster at Greater Goods Coffee Roasters in Austin, Texas. While these nine exemplary coffees from the American Southwest don’t paint a full picture of coffee in this region, they certainly tell a solid and encouraging story of the work going on there in specialty coffee, both in terms of savvy sourcing and thoughtful roast-profiling.